Mirrors have come to our life as useful things which can also expand the space, and framed mirrors are designed to decorate our homes and enhance the look of the rooms. Mirrors do not only visually enlarge the space, but also reflect the light of chandeliers and lamps,”multiplying” the number of vases with flowers, beautiful candlesticks and jewellery. When picking a mirror in frame, it is important to choose its size and frame correctly. In every part of our home mirrors have different roles and should be selected very carefully. Bathroom. The framed mirror above the sink should be stretched vertically. It will be better is it is fixed at special hinges:to turn it to different angles. Bathroom mirror frame should be better made of stainless steel or plastic. Humidity of this space can damage wooden and particle board frames. Hallway. Large mirror in a frame in a hallway also has a utilitarian value. If the hallway is short, its length will be “enlarged” with a mirror located there. A narrow corridor will be visually enhanced by locating a mirror on one of its walls. Living room. This space does not foresee using mirrors, but gilded frames looking rich and antique can match Victorian interiors and even come classic room designs. 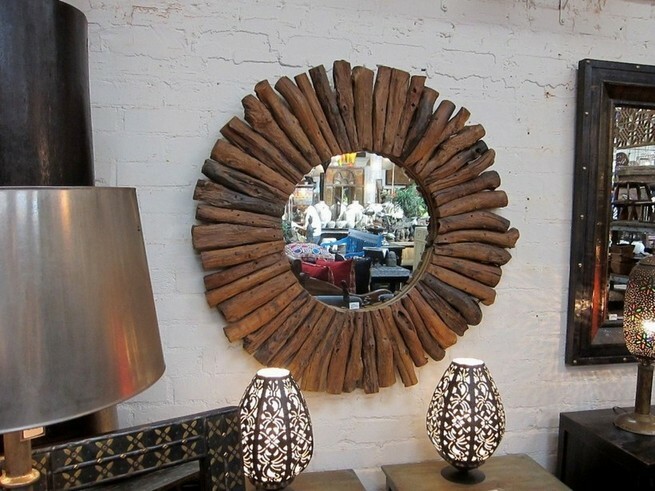 Oval mirrors will fit into such an interior perfectly. Bedroom. Sleeping room is your private space, so that you can pick any mirror frame which design you like. Certainly it should match the whole interior of your dorm. Interior Ideas - All Rights Reserved. All materials © their respective copyright holders.